In today’s video episode — and within this blog post…I’m going to share some insights into how to use voice as a biz dev strategy. “Voice” is one of the most exciting opportunities my Predictive ROI team and I are watching closely — and over the course of the next three Episodes — I am going to share what we consider to be the most exciting opportunities for business owners during the next 24-months. The video you see here is Episode 4 from our recently launch weekly YouTube series. And the blog post below the video is a portion of the transcript just in case you prefer to read ahead. However, within the video, I included several visuals and research points from 3rd party sources that you may find helpful if you’re considering how “voice” may provide value to your customers and prospects. For example, I will some of the neuroscience behind “Voice” and some of the reasons why you should consider “Voice” as part of your business development strategy. Through this episode…I’m going to remove as much marketing hyperbole as possible, because I think that marketing hyperbole, which there’s a lot of it surrounding “Voice” these days…has no place whatsoever when we’re talking about how to build and scale a business. Instead, what I’m going to share with you are citations and third-party research from very credible sources because I want you to have access to the same research points that my Predictive ROI team has access to, so you can sit down with your team and make good decision about your voice-centric strategy, and how to put that into practice inside your business. Okay…let’s dive in by establishing a foundation or definition of what “voice” means. Oftentimes, when someone hears “voice” as a strategy, it’s easy to immediately think of podcasting. 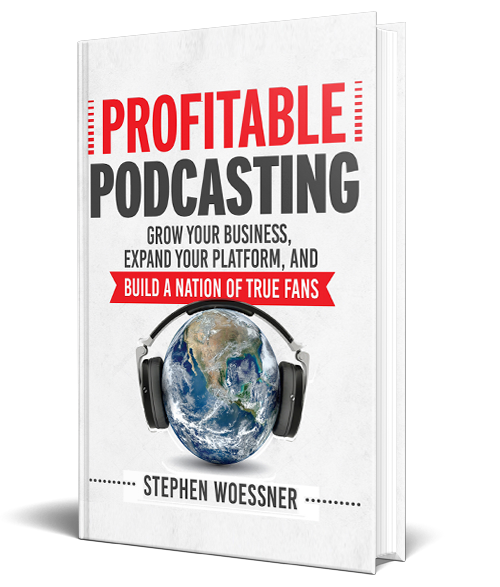 And certainly podcasting can be part of an overall voice strategy, but podcasting is only a piece of it. Voice as a strategy should also include voice-centric search engine optimization, Alexa Skills, Alexa Briefings, perhaps voice enabled shopping, or other voice controlled devices. In order to be effective in voice, your strategy needs to be channel agnostic – meaning that your content is accessible across many channels…not just a podcast…not just Alexa…not just Spotify. And building a channel agnostic strategy begins with creating a content strategy that maps to your overall biz dev strategy. In my opinion, voice represents two very significant business development opportunities for business owners. One, it gives you another opportunity to share your point of view — that driving force behind what you do, why you do it, and for whom you do it for within your business. Doing that through “voice” works because you’re using your voice as the primary conduit for delivering your POV, which gives your audience an opportunity to hear you, understand you, and develop a relationship with you (even at a distance), because they hear your voice. Second, your voice strategy will also open up a number of monetization opportunities, some of which I shared with you back in Episode 2 of our video series. So let’s continue digging deeper by reviewing a few data points I think you need to know. First…20 percent of all mobile searches [TODAY] on Google are made by voice. That is an incredibly huge number, but it’s also a number that is growing fast. Second…87 percent of B2C marketers think digital assistants and chat bots will play a key role in just three years. Third, most of the smart speaker apps like Alexa Skills are not used again within two weeks. What do I mean by Alexa Skills? So next week in Episode 5, I’m going to share with you some of highlights to Alexa Skills and Alexa Briefings. This is really important when it comes to creating sticky content, essentially content that is super helpful, super relevant, and super impactful for your listeners, for your audience. If you don’t, this is what happens, this is the data point that happens, is that your audience stops using it. After two weeks, it’s no longer new, it’s no longer fun, it’s no longer helpful perhaps, or worse yet – maybe it’s old, stale, and your customers stop paying attention to it. There is a litany of reasons why your audience might drop-off, so it’s important to know that the statistic is most stop after two weeks. Most stop coming back to the app after two weeks, so if you’re going to create an Alexa briefing or an Alexa skill, how can you do that in such a way that keeps your audience coming back so you’re helpful for a long period of time? Okay, so let’s go back to the search piece because I want to show you, try to illustrate with some numbers, how fast the market is growing, and also how impactful voice-based search is going to be. 40,000 searches are conducted per second on Google, which means about 3.5 billion searches are conducted per day on Google. I did some math to extrapolate that, and when we think about all search engines, we’re talking about 6 billion searches a day. And about 500 million new consumers are going to be entering the connected world over the next three years. And comScore predicts that 50 percent of all searches, not just mobile searches, but 50 percent of all searches on a daily basis will be conducted by voice. And voice search engine optimization, or voice-centric search is different than text based search. For example…with text based…maybe you have an optimized website and it’s ranking well within Google, and the content is largely text, and you’re relying on the text based search. Somebody goes into Google and types in what it is they’re searching for, and you rank well…that’s awesome… today. Two years from now, it may mean that 50 percent of your organic traffic goes away if you haven’t re-optimized your website for voice search. It is very important, and we’re going to cover voice centric search in Episode 6 so be sure to come back from that. I’ll slice apart all the things that we’re doing and testing today, so you can take that and apply that into your business. Let me give you another data point about voice. That has to do with voice shopping. Today, voice shopping represents $2 billion a year in transactions – and by 2022 – that number is expected to reach $40 billion. This is not marketing hyperbole. That these are the expectations, this is what we’re seeing, $2 billion today, up to $40 billion in four short years. That’s the impact of voice as it relates to shopping. I also want to give you some frame of reference with respect to market share across some of the devices. On the surface, it might look like Amazon is losing ground to Google, because of the Q4 in 2016, the Q4 in 2017. However, it’s important to point out that in the fourth quarter of 2017, Amazon said that the highest selling product, the highest selling product across millions and millions of skews, the thing that they sold more of than anything else, was the Echo Dot. Amazon didn’t release an actual number, but they did state that they sold millions and millions of Echo Dots. When you see these market share differences between 2016 and 2017, remember the market is growing rapidly. Amazon still has the market share advantage, and they’re selling millions and millions and millions of Echo Dots. We need to keep that in perspective too when we see that on the surface it looks like Amazon is losing ground to Google, went in all actuality the market is growing quite a bit. Google’s certainly selling devices, but Alexa still has the dominant market share. Now, we’re going to get into some neuroscience (and this is where watching the video would be helpful to you and your team). Sure, sometimes it’s great to be the first in a space…absolutely. I’m not denying that. But business owners often have limited resources. So I want to make sure that if you’re going to go down the path of voice, that you have the right expectations, that you have the right framework, that you make the right investments, and you’re doing it for all the right reasons. The J. Walter Thompson Intelligence Group studies new trends every year and then publishes their findings. 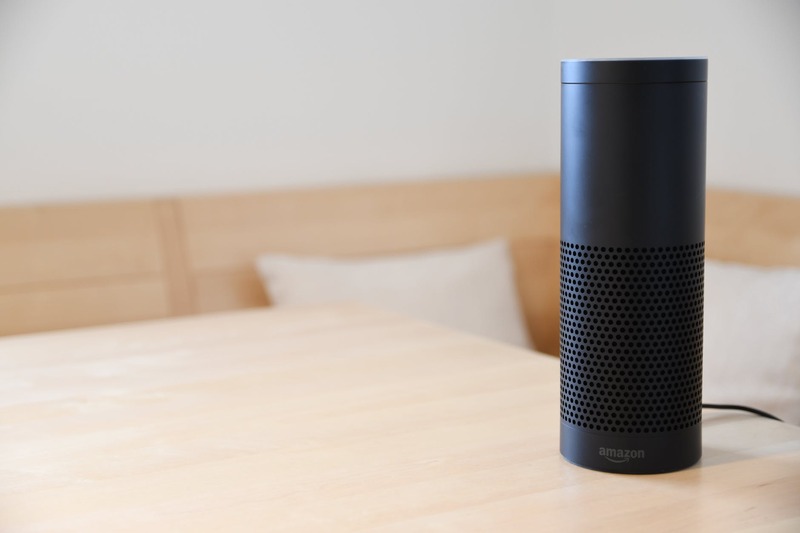 One of the group’s most recent reports regarding voice found that people are using voice commands because they felt that it was faster to use. They felt that it was faster to speak into the device, as opposed to typing it out into an iPad or into their mobile phone. In fact, over 60 percent of the survey participants said it was just easier to use. And most often the voice-based searches were to look things up and get things done on the web. It wasn’t about checking the weather, or checking a score, or whatever, it was about doing online searches, and getting things done. And if you watch the video of this Episode – you will see the actual brain scan images that illustrate the reduction in effort to execute voice-based command versus typing. Your goal as a business owner ought to be how can we create content that is so super helpful, that removes all of the barriers that truly makes it easy for one of your clients and our prospects to do business with you, because a voice-based command is literally easier than a text based command. If you can create the content that facilitates that, you’re going to win. So there are a couple of other things that extend beyond just the neuroscience piece of it, and that is Alexa for Business. Alexa will now integrate with Zoom, it will integrate with Office 365, it will even integrate with SAP and Salesforce. So you can say, “Alexa, start a meeting,” or, “Turn down the lights,” or, “Lock the doors,” or, “Order new supplies for the copier.” To go into SAP or to Salesforce and say, “Run the third-quarter numbers for this particular salesperson, or the sales team, or cost of goods,” or whatever might be, so that you can now use voice control devices truly as part of your operational strategy within your business. So then we think of what can a business owner do within that environment. There are Alexa Skills and Alexa Briefings, typically two tracks to follow. One is software, which is Skills and the other is Flash Briefings, which is essentially daily content. I’m going to slice them apart in Episode 5 and explain the differences and the benefits. Between now and then, please let us know what you think of this video, thumbs-up or thumbs down, by leaving us a comment on the video in YouTube. You can always email me at stephen at predictiveroi.com. Your feedback helps us get better each and every week, and I’m grateful for that. Thank you very much, and I look forward to seeing you next week.